STARTER programme and Fast Track Tartu opening event - Idea Hackathon! How to generate ideas, how to recognize good ideas and what to do with an idea? Come to Idea hackathon to find new ideas and turn them into reality! You will also meet with different Tartu startup community organizations. The most important thing is that you would have an interest towards entrepreneurship! The idea doesn't need to be a startup idea, it can be a project or NGO idea as well! 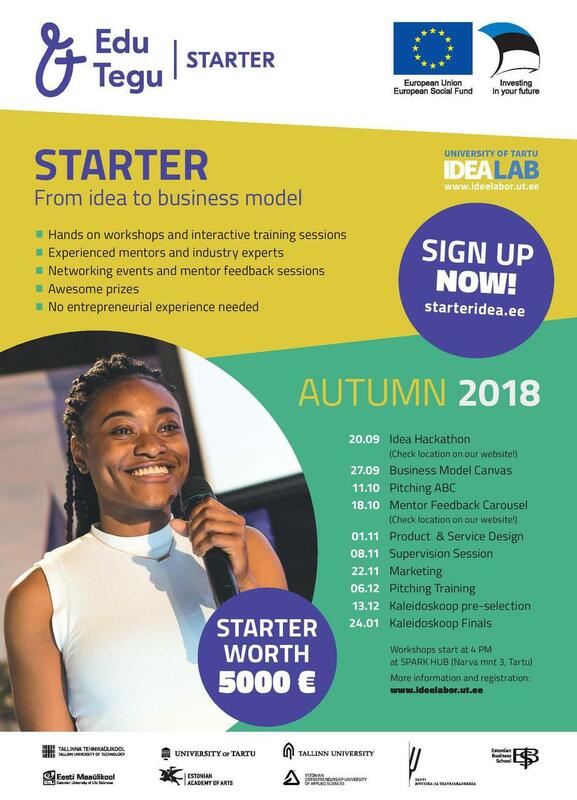 Through STARTER programme workshops you will learn how to pitch, develop your idea and how to turn the idea into reality! 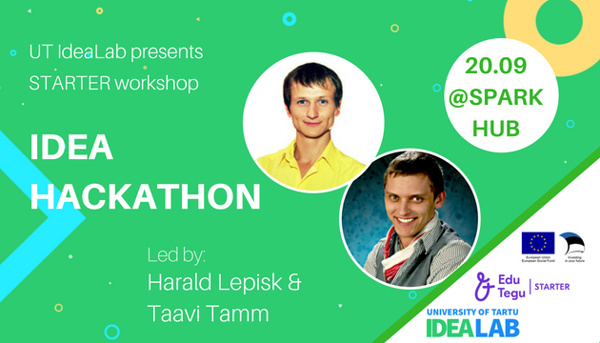 Idea Hackathon is also the opening event for Fast Track Tartu! During the summer all the Tartu startup community member organizations came together and decided to pilot an idea about united startup ecosystem. At the Idea Hackathon, you will have a chance to meet with different organizations and incubators! Some of the community members will pitch their incubators and organizations at the beginning of the event. You can meet with them later at the Tartu startup scene fair at SPARK Demo area. Join our Facebook Group where you can already pitch your idea and find potential teammates! The event is in English and free for everyone but please make sure to register before!